SKU: N/A. 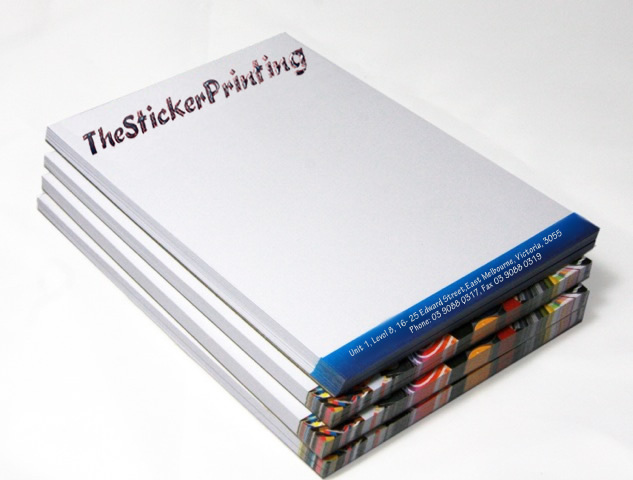 Tags: cheap printing services, custom notepads printing, full colour notepads, Notepads Printing Adelaide, Notepads Printing Albany, Notepads Printing Albury, notepads printing australia, Notepads Printing Australian Capital Territory, Notepads Printing Ballarat, Notepads Printing Bathurst, Notepads Printing Bendigo, Notepads Printing Bowral, Notepads Printing Brisbane, Notepads Printing Bunbury, Notepads Printing Bundaberg, Notepads Printing Busselton, Notepads Printing Cairns, Notepads Printing Canberra, Notepads Printing Coffs Harbour, Notepads Printing Darwin, Notepads Printing Devonport, Notepads Printing Dubbo, Notepads Printing Geelong, Notepads Printing Geraldton, Notepads Printing Gladstone, Notepads Printing Gold Coast, Notepads Printing Hervey Bay, Notepads Printing Hobart, Notepads Printing Kalgoorlie-Boulder, Notepads Printing Launceston, Notepads Printing Mackay, notepads printing melbourne, Notepads Printing Mildura, Notepads Printing New South Wales, Notepads Printing Newcastle, Notepads Printing Northern Territory, Notepads Printing Nowra, Notepads Printing Orange, Notepads Printing Perth, Notepads Printing Port Macquarie, Notepads Printing Queensland, Notepads Printing Rockhampton, Notepads Printing Shepparton, Notepads Printing South Australia, Notepads Printing Sunshine Coast, Notepads Printing Sydney, Notepads Printing Tamworth, Notepads Printing Tasmania, Notepads Printing Toowoomba, Notepads Printing Townsville, Notepads Printing Traralgon, Notepads Printing Victoria, Notepads Printing Wagga Wagga, Notepads Printing Warragul, Notepads Printing Warrnambool, Notepads Printing Western Australia, Notepads Printing Wollongong, notepads sydney, personalized notepads, bulk Notepads Printing, full color Notepads Printing, multipages Notepads Printing, Notepads Printing, Notepads Printing manhattan. 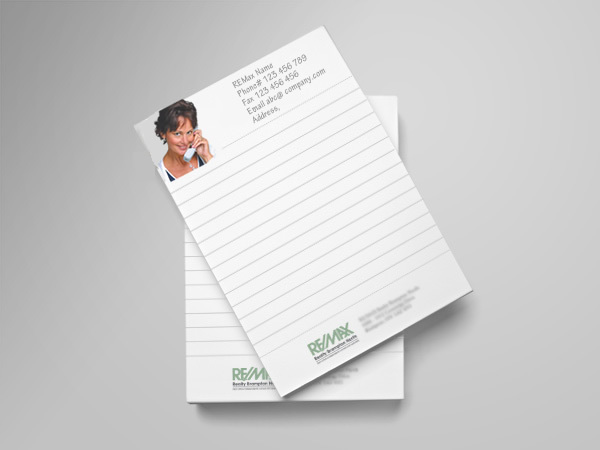 Personalized Notepads are good marketing materials. 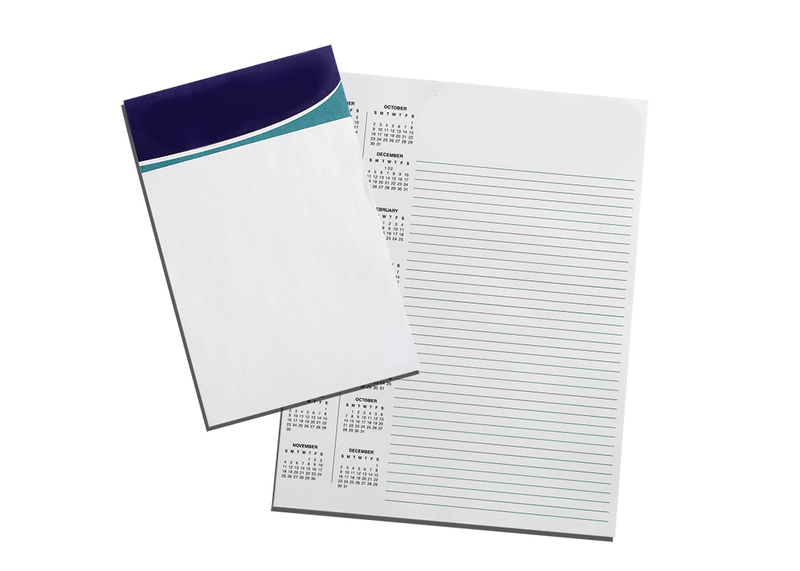 Notepads are not just pieces of papers put together but they are branded version of papers which can be used for writing tasks or memos in offices. 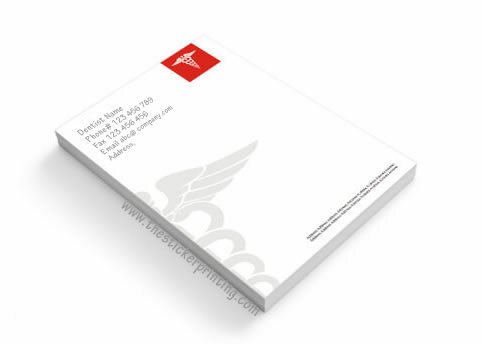 You can print standard or custom size notepads for marketing purposes. 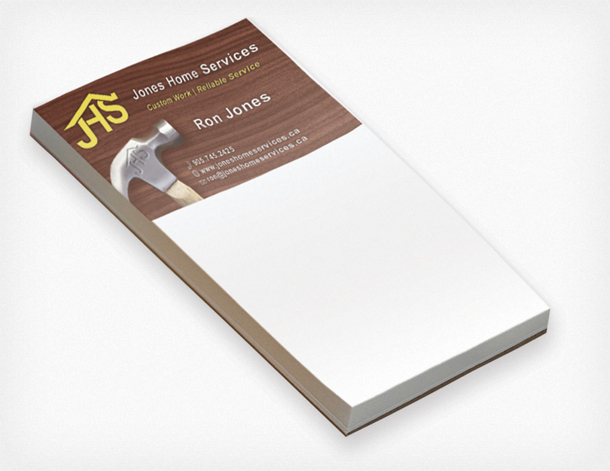 All notepads can be printed in full colour and can have many pages. 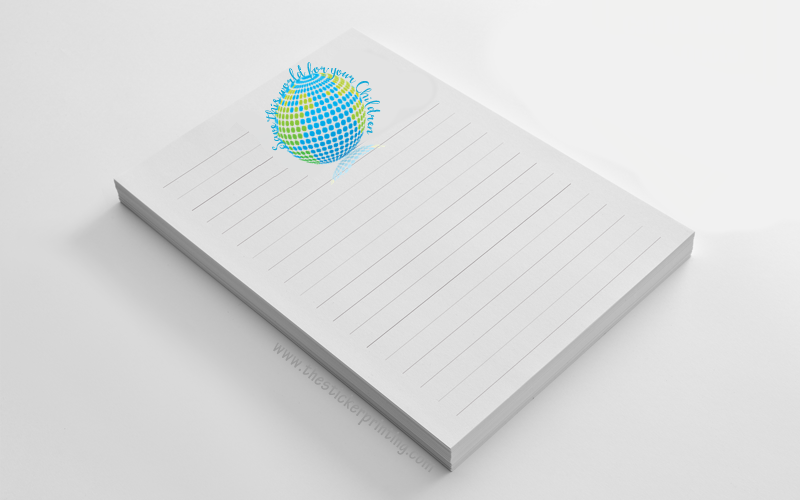 We print your notepads on high quality paper stock and notepads are printed in full colour using CMYK or PMS printing techniques. Pages are put together using glue and are bonded before it makes a notepad. Being a business owner, one need to discover various ways to make their investment more unique and effective. However, this is not so easy task to achieve as many businesses today are working on a very tight budgets. Although there is no need to get much despair as there are many ideas running in the market that can considerably help you to enhance your business without much spending and “Notepad” is one of them. It is considered as one of the most effective way to market your products and services. Well it is not a new technique of promotion but it is gaining popularity these days tremendously just because of its effectiveness. 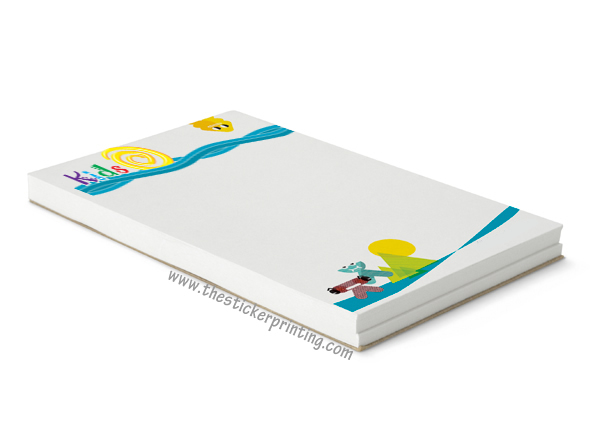 Moreover, with the assistance of online printing service provider, one can customize its way of printing as per the requirements which give the notepad a new look. In comparison to those of other conventional marketing campaigns, there is no need to spend huge money as they can be easily done within budget. The present business environment says people to reduce their daily expenditure and pay more attention towards the more effective and inexpensive ways of creating brand awareness for their products and services. In the current economic hardships, almost every business owner these days are searching different ways to promote their business without hampering its quality. 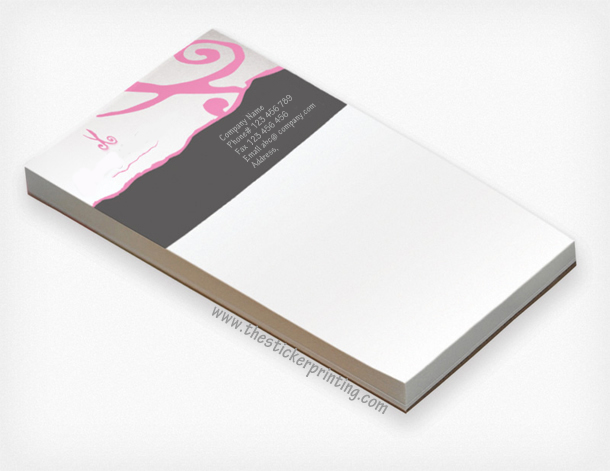 Fortunately, one can easily rely on notepad printing for creating brand awareness without having to cough up extra cash. For grabbing the immense benefit of notepad, all you need is the right online service provider who could offer you the right product at right price and “The Sticker Printing” is one of them. We are the most trust-able and genuine online printing service provider of Australia. 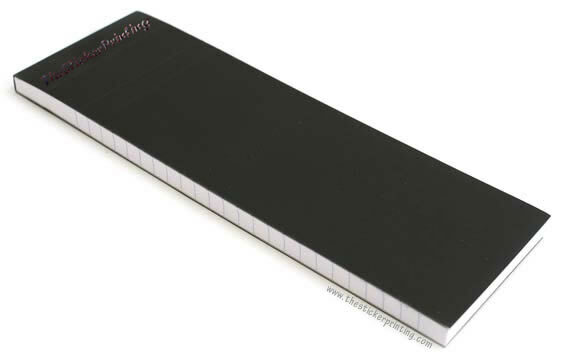 We are offering two types of notepads which include: Standard notepad and magnetic notepad and the sizes are of 108 mm X 140 mm, 89 mm X 216 mm, 140 mm X 216mm, 216 mm X 280 mm and customized sizes. 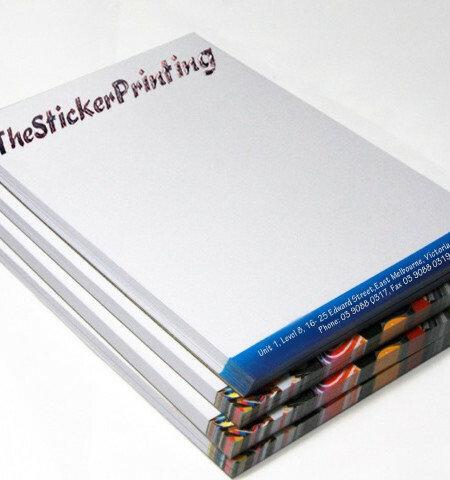 For placing order with us, call us on our helpline no (03) 9088 0317 or send us email at sales@thestickerprinting.com . We love to assist you !! 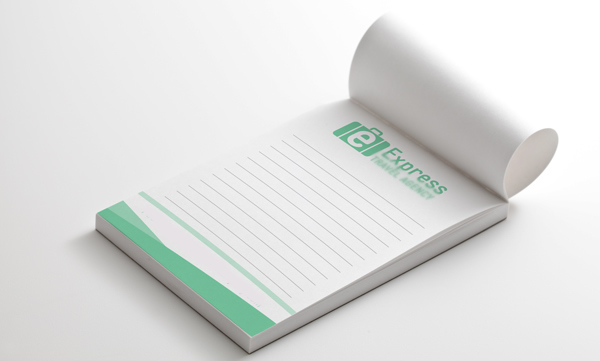 If you have any custom requirements about your notepad papers or notepads printing. Feel free to contact us via email phone call or live chat. Notepads are always being an essential part of my day to day activity. I am permanent customer of the sticker printing services as they are the perfect one when the question comes to printing services…….Really awesome! !